The Garmin Forerunner 645/Music is a very powerful GPS sport watch with all important functions for running, cycling, swimming, and many more. Upgraded ruuning & connected features are completed by new functions like the integrated music player and GarminPay™. Thanks to the memory space of 500 music songs or 4 GB internal memory, you can easily listen to your favourite song via the Bluetooth headphones while doing your training sessions. The integrated activity tracker records your daily activity and gives you a good overview. The heart rate measuring is directly done on the wrist thanks to the Garmin Elevate™ technology, so that any additional chest strap is not required. The Polar Vantage sets a new standard in optic pulse measurements thanks to the brand new Polar Precision Prime Fusion technology: 3D acceleration sensors, skin contact sensors and new optic LEDs. The Vantage V is the first sports watch ever to offer a reading of your Watt output while running. It's increadibly precise readings especially during mountainous routes. The Vantage M can also give a Watt reading when combined with external sensors. 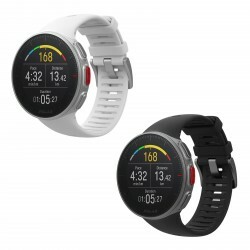 The water proof multi-sports watch is rounded off with activity tracking functions like the 24/7 measurements from steps and distance as well as sleep quality and analysis. 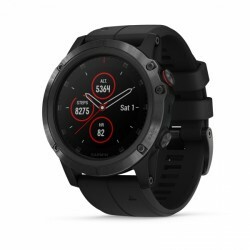 The fansinating GPS mutli sport smartwatch Fenix 5 Plus, the successor to the legendary Fenix 5, with numerous new features along with the familiar multi sport function. With an integrated music player, which gives you the option play music over Bluetooth headphones and satisfies further wishes with pre-installed apps e.g. European Maps and Golf Courses. Thanks to the NFC Chip it's possible to use wireless pay through Garmin Pay. As is standard with Garmin, the Fenix 5 Plus is waterproof to a depth of 100m. Through numerous in-built sensors you have access to Wrist-based heart rate measurments, pre-installed activity profiles or various activities, sleep analysis and also special functions for running, cycling, swimming, skiing, golf and water sports. Numerous online functions (e.g. 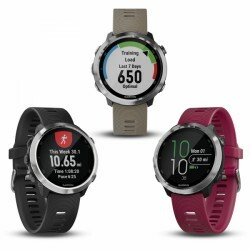 Smart notifications, automatic upload to the online fitness community Garmin Connect, free display designs and apps from the Connect IQ shop) rounds up the Fenix 5 Plus wide array of functions. Available in various models so that every need is covered. Polar M600 - one of the most sporty smartwatches of our time! The Polar Smartwatch M600 combines all advantages of Googles Android Wear with the unique Polar training functions and analysis. Hence, the Smartwatch meets "Smart Coaching" and opens up new opportunities regarding a smart daily life! 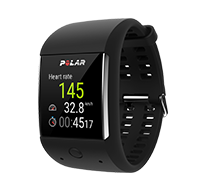 The Polar Smartwatch M600 is equipped with a technology, especially developped by Polar, with six LEDs for pulse measuring on the wrist. 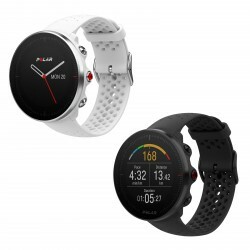 An integrated GPS and Glonass, 24/7 Activity Tracking, a brilliant colour touch display, Smart Notification, voice control, and the access to social media channels and even up to more than 4,000 Apps (among other things, design, weather, navigation, maps) do not only characterise the Polar Smartwatch M600 but put it apart from other Smartwatches of our time! 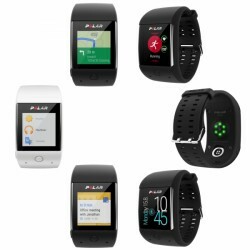 Sporty Smartwatch with the Polar approved training and analysis functions ("Smart Coaching")! Precious, multi-functional sport watch with Smartwatch functions: for everyday life as well as, for example, a triathlon. Cardio sport for losing weight, triathlon or marathon – the Garmin GPS multi-sport pulse watch Forerunner 935 meets all requirements. 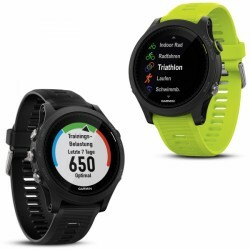 The Forerunner 935 offers many sport profiles for running, swimming, cycling, and even golf. The position determination is very precise thanks to GPS and Glonass, the heart rate measuring can be done visually on the wrist of with a chest strap. The first thing you'll probably notice when you open the box is the elegant design of the watch. 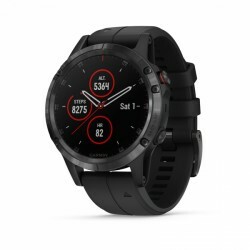 The second thing you will see is that the watch comes without a heart rate (HR) monitor, but of course you can buy it later as this model supports Suunto’s smart sensor. The first setup of the watch is very simple and quick enough; it takes no more than a few minutes to set up everything. You will be amazed by the functionality the Suunto Traverse offers: a barometer, compass, thermometer, altimeter and even GPS with navigation features. Plus some other useful functionality like the flashlight feature which sets the screen to highest brightness, so that you will be able to use it as a torch. 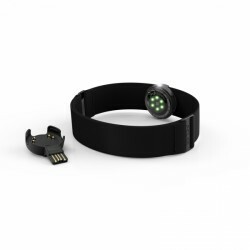 Furthermore, the Suunto’s Bluetooth adapter allows you to connect to an Android or iOS Smartphone and additionally a heart rate belt. These features are not only for professionals, they will come in handy in everyday life as well. Do you want to achieve your fitness targets quicker? Do you want to train effectively? Do you want to know which performance you did? Then listen to your heart. Pulse watches support you. They do much more: Many sport monitors already have wide-range functions for analysing your training. 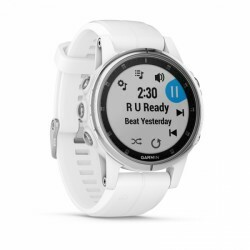 It extends from stop watch to heart rate zones and to GPS measuring.Many sport watches and training computers for different trainings are available in our pulse monitor online shop. The most simple sport watches are stop watches. Big models, i.e., have integrated GPS sensors, barometer, and weather forecast. In order to give you a clear idea about sport monitors and training computers, we have compiled a small overview about funtion variety of pulse monitors. No matter which training computer you will take, it helps you to improve your fitness - more effectively and longer lasting. There is a lot of accessory for training computers to increase the variety of functions of a pulse monitor. The chest strap is very important. It's the actual heart rate monitor. 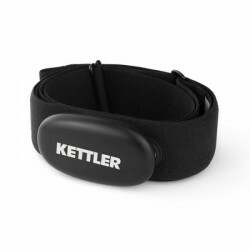 The pulse monitor transmit your heart rate to the pulse watch for analysing. In addition, there are further sensors, i.e. running sensors, counting your steps. It's perfect o find out your appropriate cadence. You can also upgrade your pulse monitor to a bike computer. Here, you need a speed sensor and/or a cadence sensor. Get informed with the pulse monitor tests before you buy a pulse monitor.